Monotract were one of the “older” bands at the After The Jump Festival, as they have been recording and performing their compelling experimental “noise-wave” for a decade. In 2006, they caught the attention of Sonic Youth’s Thurston Moore, who signed them to Ecstatic Peace. Thurston also performed with Monotract at SXSW in 2007. The late afternoon performance at After The Jump seemed a bit rushed due to time constraints, so that Monotract only played for 20 minutes. However, in that time frame they displayed the frenetic energy that has served them well for a decade of accolades. This is the matrix mix from the Galapagos stage and the sound recording is excellent. Enjoy! 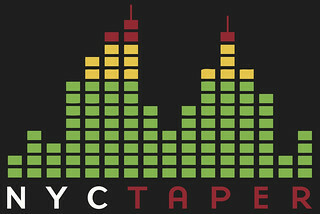 After The Jump is a charitable organization of NYC music bloggers who donate all proceeds of their events to the advancement of music in NYC schools. nyctaper requests that if you download this recording, that you support this cause. Selected tracks from the recordings to be featured on this site from the ATJ Festival will be produced into a compilation, with all proceeds being donated to the music programs in NYC schools. When the compilation becomes available, all nyctaper readers who downloaded ATJ sets will be expected to purchase the release. If you email nyctaper for access to this recording, we expect that you will PLEASE SUPPORT Montract, visit their website, visit their MySpace page, and purchase their official releases by visiting their website “Records” page, and their page on the Ecstatic Peace website.